During Nokia’s launch event in Moscow on Tuesday, the company’s global marketing manager Neil Broadley confirmed that all the new Nokia phones will be receiving an upgrade to Android P. This applies to all the phones launched after Nokia’s revival, including the Nokia 2 (2018), 3 (2018) and the 5 (2018). To recall, the company assured users that they will provide the latest Android updates on all its phones. It’s also true that many companies have made such promises, but failed to keep them later on. But fortunately, the Finnish phone maker is sticking to the plan as of now. Moreover, HMD CPO Juho Sarivikas also confirmed that the Nokia 8 will get the Nokia Pro Camera mode after the next update that rolls out this Friday, June 1. For those unaware, all the Nokia phones are part of Google’s Android Oneprogramme. These phones are essentially stock Android phones, and bring along a guarantee that it’s a stable version of Android that’s free of bloatware. 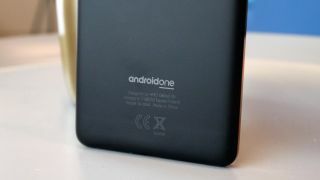 Also, with Android One, the devices receive up to two years of upgrades to the latest version of Android. Which basically means there’s no endless waiting for newer updates. It’s further topped up with three consecutive years of Android monthly security updates.